Is your smile marred by multiple dental problems? Has a busy life or anxiety prevented you from getting the routine dental care you needed for years? Has a recent accident left your smile looking and feeling far from its best? Many people in New York find themselves in this kind of situation, and most often, they feel completely overwhelmed, and some believe it’s simply too late for them to have a smile that doesn’t make them feel self-conscious. However, we have good news for you—it’s never too late for your smile! 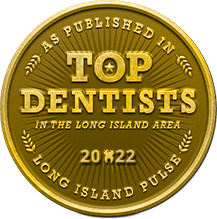 With a full-mouth reconstruction/smile makeover in Massapequa, you can turn back the clock and finally have a set of teeth that fills you with confidence, not worry. 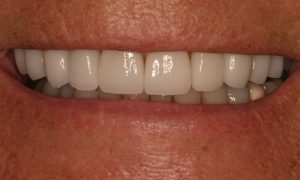 What is a Smile Makeover/Full-Mouth Reconstruction? The terms “smile makeover” and “full-mouth reconstruction” are often used interchangeably, but they both refer to a comprehensive treatment plan that is designed to fully restore a smile’s health, appearance, and function at the same time. In most cases, it combines multiple treatments to deliver the final result. Because of this, every smile makeover is completely unique for each patient based on their particular needs. After having a consultation with a dentist, which will include an oral exam and diagnostic images, a patient will have a chance to discuss what they want to change about their smile. Taking into account a patient’s specific goals and needs, the dentist can then formulate their personalized treatment plan. 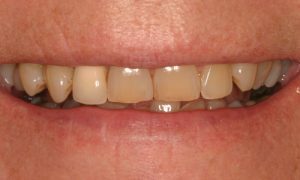 What Can a Smile Makeover/Full-Mouth Reconstruction Fix? Of course, a smile makeover/full-mouth reconstruction is not completed in just one appointment. In most cases, the dentist will perform one or two procedures during a single visit, and then they will give the patient’s mouth some time to adjust before proceeding. The key to the treatment’s success depends on how well everything comes together, and by taking a little time between procedures, a dentist can ensure a much better result. Is a Smile Makeover/Full-Mouth Reconstruction Right For You? 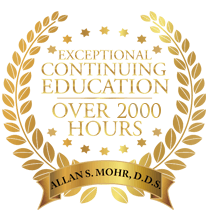 If you are currently dealing with numerous dental problems that affect your ability to speak, chew, or even feel good about yourself, this treatment could be exactly what you need to get your life back. All you need to do to get started is contact your local dentist today, and in the end, your only regret will likely be that you didn’t do it sooner. 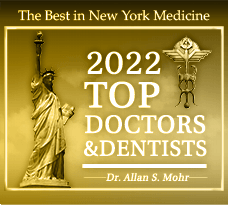 Dr. Allan S. Mohr is one of the most well-respected dentists in the country when it comes to handling complicated restorative/cosmetic dental cases. 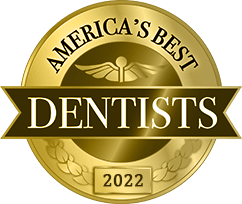 He has made it his life’s mission to positively change the lives of his patients by providing strong, beautiful, and natural-looking smile makeovers, and he does so every day at his practice, ASM Smile Creations. To learn more about this treatment and what it could do for you, we invite you to contact him today. by: allanmohr at April 12, 2018 .